We’re going to explore how we can use this photographic material. We’re going to think about different ways of presenting the photographic material. We’re going to find suitable possibilities where the nature of these sources – a photo, a photo series, an archive of photos – can be translated into a ‘space’. ‘Space’ can be very diverse: an exhibition space, public space, a book as a space, the internet or the screen of your mobile device. The photographic material can be transformed into spatial, virtual or interactive installations or sculptural forms. 10:00-11:30 Brief introduction by Anouk presenting her works followed by a Q&A session and a discussion. 12:00-18:00 Students will be asked to make a research into artists who work with photography, the ones that don’t present their photoseries on a wall and who don’t have a photo as the end result mainly. Anouk will share a list of websites, blogs and personal artists/photographers’ pages to search at. Students will have to make a mood-wall: print all examples of artirs that work in this way and that students get inspired by, then – pin the images on a wall. 10:00-12:00 Continuing to work on a mood-wall/ inspiration wall. 13:00-16:00 Students make small presentations about their walls and chosen artists/photographers. Students will really have to try to understand the works they present: why were they done the way they were, what they present etc. 16:00-18:00 Students start to think about their own work that they will produce at the workshop. The work should play around this transforamtion of the photographic material into a ‘space’ – as widely understood as it can be.There is no topic. It’s completely free what students can take photos of. It is preferable that students produce their images. Nevertheless, if there is a strong and motivated need, appropriation of imagery is also possible (taking images from online or making copies of materials from magazines, books etc.). 10:00-18:00 Elaborating works: making photographs, collecting the material, thinking of the final ‘space’ and the way to present the images. Discussing works: what already exists, what students want to do with it etc. 10:00-18:00 Elaborating and discussing work. 19:00-20:30 Presentation by Anouk at Creative Space Taiga. 15:00-18:00 Presenting works, discussion with Anouk and other students. Anouk Kruithof is a Dutch artist born in 1981 in Dorderecht, the Netherlands, where she graduated from art college in 2003. Since she attended the artist in residency program Künstlerhaus Bethanien from 2008 till 2009. She had been living in Berlin till she moved to New York in September 2011. At the moment she is based in New York with AN01 (Artist) visa, which gives her the opportunity to live and work in the USA for three years. Among others she had solo exhibitions at Gallery Boetzelaer in Nispen in London, Gallery Adler in Frankfurt, Museum Het Domein in Sittard, the Netherlands, and Foam Amsterdam. Her work includes several international groupshows such as “The Feverish Library (Continued)”, Capitain-Petzel Gallery, Berlin; “As Super Positions”/ The New Wight Biennal at UCLA, LA; The Daegu Photo Biennal, Daegu, Korea; “Crossroads” at KIT (Kunst im Tunnel), Düsseldorf; “Quickscan NL#01”, the Netherlands Photomuseum. Other shows were at ACP, Sydney; MAMAC, Liege; Temporare Kunsthalle, Berlin; Stedelijk Museum, Amsterdam; DCC, Shanghai; Kunstraum Niederosterreich, Vienna. 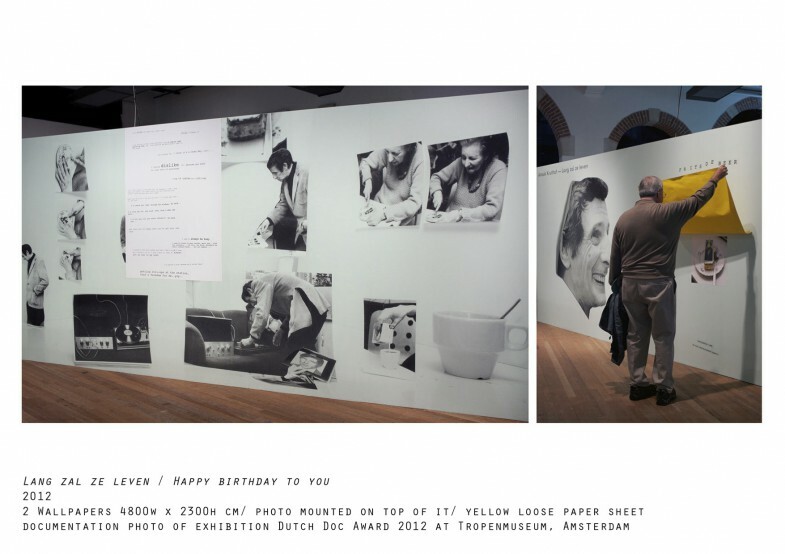 Among others MOMA Library, Foam, Fotomuseum Winterthur and Museum Het Domein are collecting her work. In 2012, she got honoured with an ICP Infinity award from the International Center for Photography in New York. In 2011, she won the Grand Prix Jury as well as the Photoglobal Prize at Hyeres, Festival International de Mode et de Photography. Writing is getting more important. She wrote her first published fictional story “A Head With Wings” in an artist book with the same title. She has been writing for 1000 words magazine, Wanderingbears, Photoeye, PhotoQ. Anouk Kruithof lectured at Tate Modern, London; Leeds College of Art; Hartford Photography MFA; Officine Fotografische Roma; Deichtorhallen Hamburg and Massachusetts College of Art and Design. Anouk Kruithof is educated as a photographer, but she considers photography more as a starting point of various possibilities. Anouk Kruithof makes photo, video –and spatial installations as well as social –in situation- works, ‘take away art’ and most important she is a frenetic artistbookmaker. Anouk Kruithof’s language is playful, thoughtful and light. Her work has a versatile and inventive temperament. Kruithof works in projects and her process exists out of a few stadia. Her work is almost all about framing. Temporary installations she constructs and performative actions with anonymous people she sets up are forming the basis of her photographs. After she deliberately uses her own photos and transfers the images across different surfaces and spaces into sculptural forms. She composes spatial mnemonic theatres in the form of minimal installations and artistbooks. What Kruithof’s works make different from pure conceptual speculations about the act of art creation is the affection for the tactile and sharing dimension of the pieces, as well as a longing for perpetual memory. Kruithof is interested in psychology. The human mind with its pulsating emotions and seizing logic co-existing together. The constant movement and transformation of everything within the breakneck speed of today fascinates her. Kruithof’s images are often frozen moments in between the perpetuum mobile of rush. Instability caused by chance, which she administers in almost all work, can be seen as an associated element of this. Anouk Kruithof has an exceptional feeling for the faces of the soul of the people she picks from the public space to collaborate with. She documents her performative actions with strangers and in her final photos it always seems as if these human figures are anchored a little outside our world. The significance of colour is important in her work. She integrates both the psychological and art historical meaning of colour in her work. By doing so her work contains a strong mental perception. She often arranges colour as a tool to create order in its chaos. She utilises colour as a symbol for human energy. Kruithof is an obsessive collector of material and especially interested in the disposable elements of the everyday. 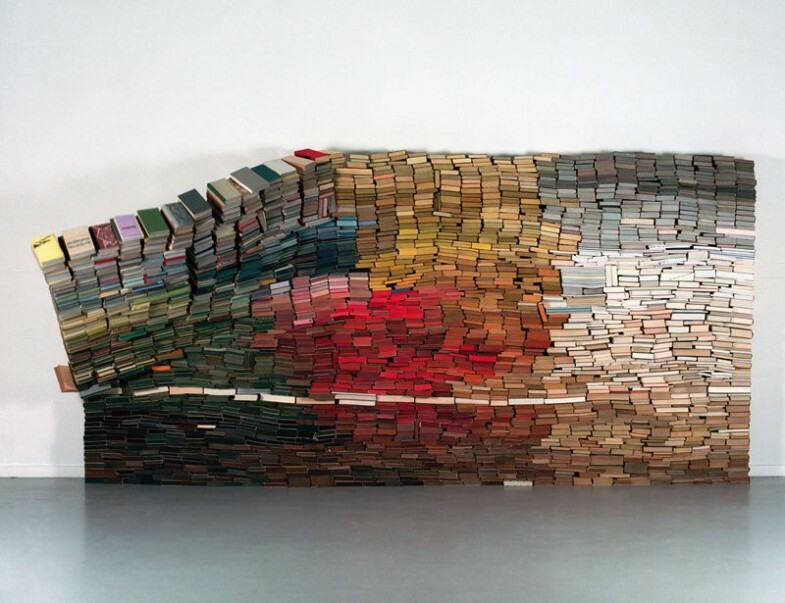 By making her (temporary) installations she breathes new life into ‘forgotten’ material. She recycles as well her own work and transforms it into new work (familiar to the way artists would work with ‘found footage’). But for her the necessity of going out and act in reality in order to make her work is very important, because of her curiosity in people, interaction with and within society and openness to unexpected adventures. It is as well important for the viewer to interact with her work by for example taking away her (mostly anonymous) posters, postcards and newspapers. Sometimes you can even eat her art, like the photocakes she made for a few occasions, which is as well a social act. Anouk Kruithof published 6 artistbooks with different international publishers. For her an artistbook requires two following elements. It has to contain a strong piece of work and most importantly in its physical form it should be a work that has it’s own existence. She is able to successfully reconcile her photographic work through the format in which it’s published. The workshop lasts for five days, approximately from 10.00 till 18.00 including the lunch time and coffee breaks. Language of the workshop: English with translation into Russian. We will contact you as soon as we recieve your submission. The deadline for international applications is the 25th of May, 2013. Feel free to ask us any questions about the workshop and other events of the program.